PLEASE NOTE: FREE SHIPPING in the UK, US and Canada when you buy 3 or more physical books within the same order. This offer does not apply to eBooks. As a general guide, dispatched in-stock items are usually delivered according to the guidelines below. Please note that print on demand items will be shipped separately and may take 2 weeks longer to be dispatched. 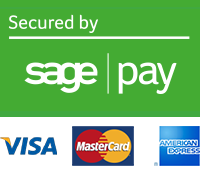 Our orders are fulfilled by Macmillan Distribution and Print On Demand Worldwide. These estimates are based on information from our couriers and cannot be guaranteed by Ospreypublishing.com. How can I cancel all or part of my order? Please contact us at websiteorders@ospreypublishing.com; or call +44 (0)1635 232 940 (national rates for UK callers, international rates for overseas callers) between Monday – Friday 9am – 5pm GMT to cancel your order in part or in whole. Provided your order has not been dispatched, we will attempt to halt processing of your order and refund you via your original payment method. Should we be unable to cancel your order we will provide you with the necessary information for returning the item(s) to us for refund. Can I return an item and, if so, will I have to pay for postage? We guarantee the quality of all products purchased from our website. If you are not completely satisfied with your purchase you may return the item, in its original condition, within 14 days of receipt of your package for a full refund of the purchase price. If the return is due to an error on our part, we will gladly compensate you for the returns postage within a week of processing the return. If you would like to return an item, please contact us at websiteorders@ospreypublishing.com; alternatively call us at +44 (0)1635 232 940 between Monday – Friday 9am – 5pm GMT. Calls are charged at national rates for UK callers and international rates for overseas callers). We endeavour to process returns within one week of receipt or within 30 days of cancellation. Be sure to include your order number in any correspondence so that we can process your refund as quickly as possible for you. A refund will be made to your original payment method to the amount of that purchase, less postage and packing if returned past 30 days from receipt of your package (unless we’ve made an error). 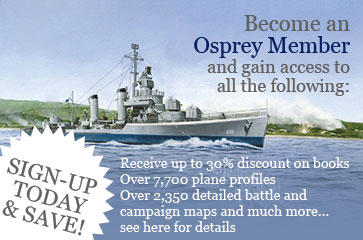 If you do not receive your refund within four weeks please notify us at websiteorders@ospreypublishing.com. Ospreypublishing.com is not responsible for lost returns. As ebooks cannot be returned we are unable to refund payments. By completing the purchase of an ebook from Ospreypublishing.com you waive your 14 day right to cancel.